Chelsea Dwelling on the Past? It might be silly season, with Chelsea linked with everyone except Joey Barton so far but the link with a return for Didier Drogba at least gives us something to debate. For a kick off, is there any truth in it? He’s 36 for a start, so hardly a forward-thinking move but then neither was signing Eto’o last summer. According to speculation though, a return for Didier Drogba could eventually involve a coaching role, presumably once we’ve had the final playing days out of him. So would it be a good move for both parties? 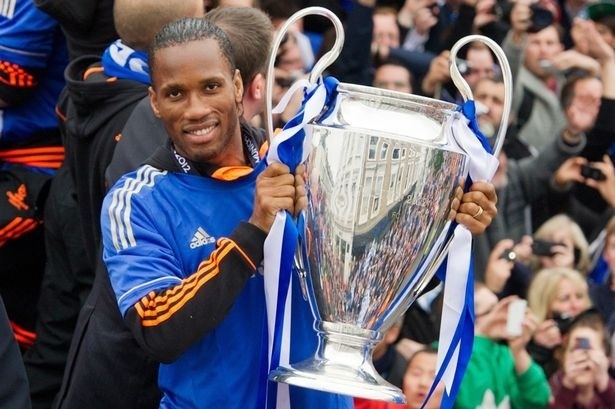 Didier Drogba’s last kick of the ball for us was that penalty against Bayern Munich in the 2012 Champions League Final – he couldn’t possibly top that could he? He’s an absolute legend at Stamford Bridge, held in the highest regard by players and fans alike and any return to any club for a former player doesn’t come without it’s risks. I guess it’s about expectations though. If a return meant anyone expected Didier Drogba to even come close to the sort of form we had from him before, there’d be disappointment ahead yet realistically, whilst we’ve undoubtedly added quality to the side since he left, what we’ve missed is a clinical finisher. In other words, it’s been all foreplay and no climax post-Didier. Imagine our midfielders carving open defences with the physical presence of Drogba on the receiving end in the box though and suddenly you could see why a return for the Ivorian is an attractive proposition. Yes Costa appears to be on his way (under duress if you believe the latest rumours) but the Premier League often takes some adapting to – and given his temperament, might take a red card or three for the striker to settled. So, Drogba supplies the much-missed clinical edge in the meantime, with a move into a coaching role once Costa’s sussed out the FA’s peculiarities. Jose Mourinho has never hidden his respect for the Ivorian and is quite partial to a reunion, with his own return followed by that of Nemanja Matic and a return for Thiago a possibility over the summer. Would it be a longing for past glories though, or looking to the future?